Season one of the groundbreaking and critically-acclaimed Sundance Now web series This Close is now available on iTunes. 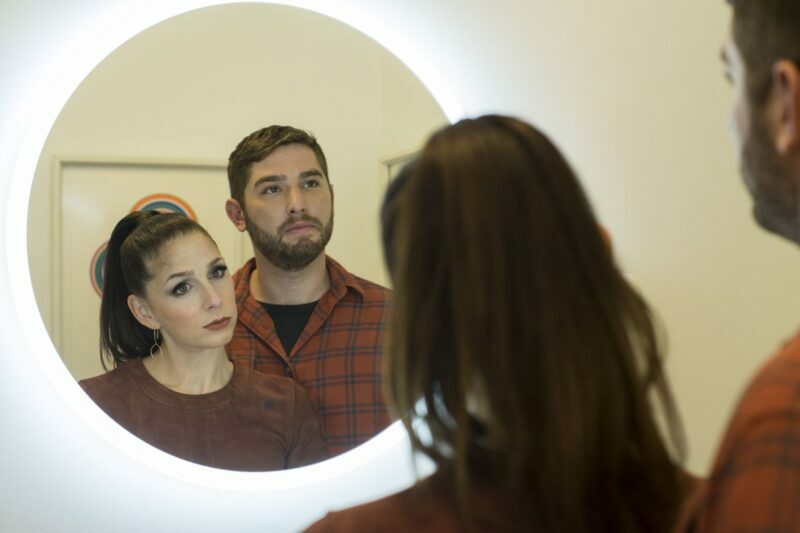 Written by and starring Supernatural alumna Shoshannah Stern and writer Josh Feldman, the series follows long-time best friends Kate (Stern), a newly-engaged publicist, and Michael (Feldman), a gay graphic novelist trying to move on from his ex-fiancé, both of whom are deaf. The show explores their dynamic as well as their relationships with others in their lives, such as Kate’s fiancé Danny (Zach Gilford), Michael’s ex-fiancé Ryan (Colt Prattes), and Kate’s boss Stella (Cheryl Hines). The series was renewed for an eight-episode second season in April, and Stern confirmed via Twitter that they begin shooting at the end of next month with a premiere date set in 2019. We start shooting at the end of next month! To purchase the full six-episode first season, go here.